It occupies a full page (23cm x 32cm, or roughly 9 inches by 12½ inches). 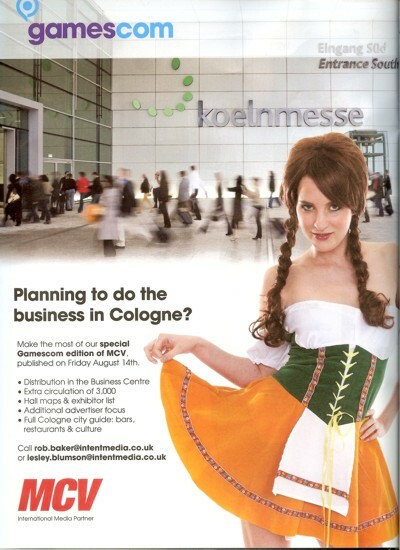 I wonder what ghastly stereotypes in bad wigs German magazines use when advertising conferences in the UK? Or maybe they don't think this kind of embarrassing sexism/racism is just a bit of fun like MCV seems to? Referenced by Hubba Hubba Hubb.